GLPG are land, investment and development agents, working in a high-pressured environments. 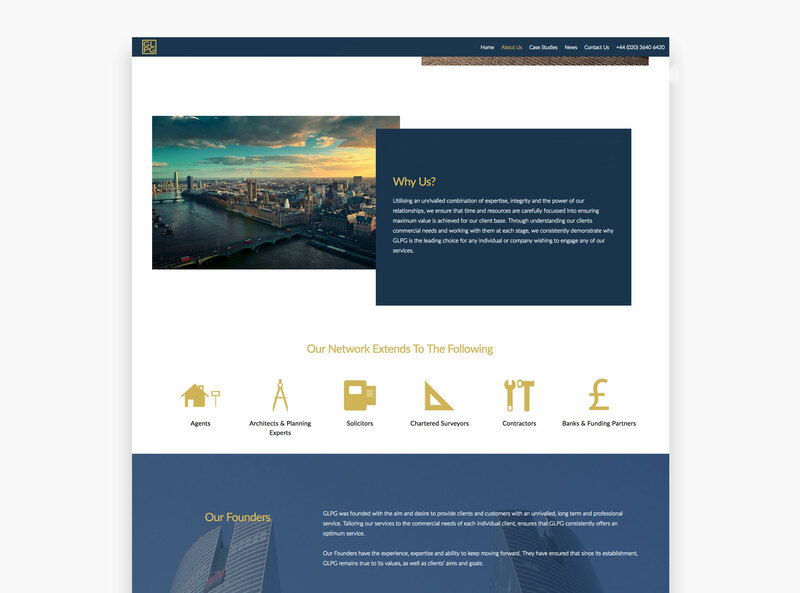 We were approached to produce the digital presence and brand front for the company, that would serve as the platform to differentiate them from their competitors. In order to understand the target audience that GLPG were looking to tap into, Original People undertook strategic research, by holding discovery sessions with key team members of the team and a number of their past clientele. By fully understanding the fundamental DNA of the company, we were able to establish specific aesthetic traits that would accentuate GLPG's brand values. 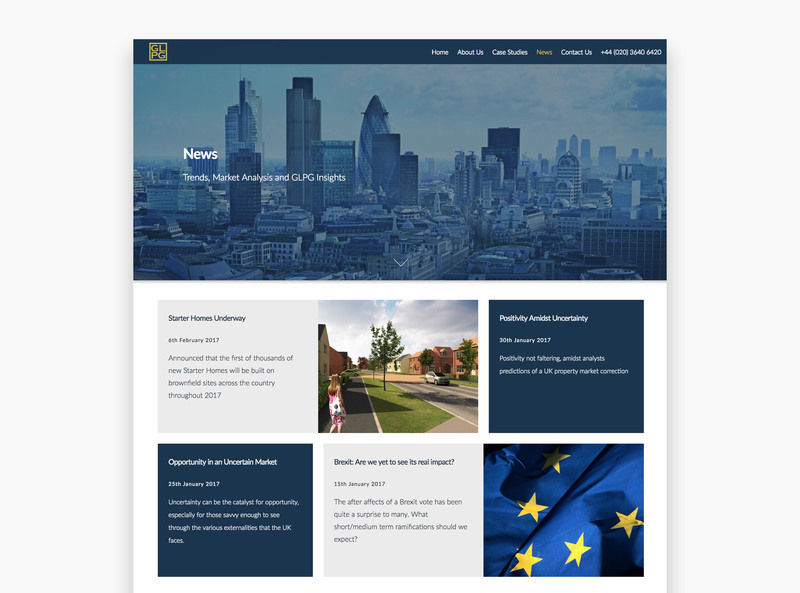 GLPG wanted to create a platform that would enable them to provide leading industry insights into the current property investment market - providing an understanding and awareness into the current climate. We designed an innovative platform, with an intuitive interface, enabling GLPG to produce and present organic industry insights content, which further enhanced their SEO rankings. Ensuring that GLPG's digital presence is consistent on every device is crucial to their success. Providing a holistic viewing experience across multiple platforms enables both potential and current clients to achieve maximum exposure to the significant information and data, whilst remaining within an immersive and familiar user interface. 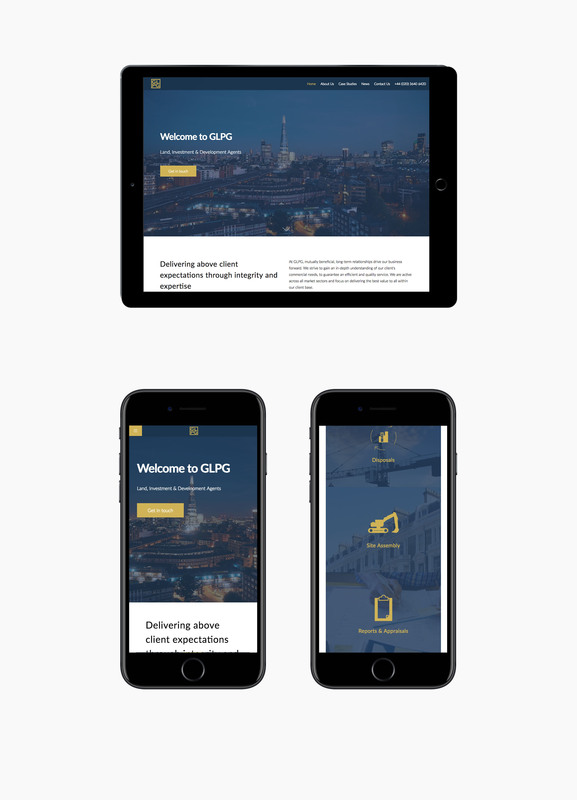 GLPG have experienced a significant enhancement in user engagement since implementing the new digital presence, which can be seen through the proliferation of site visitors and client enquiry requests. 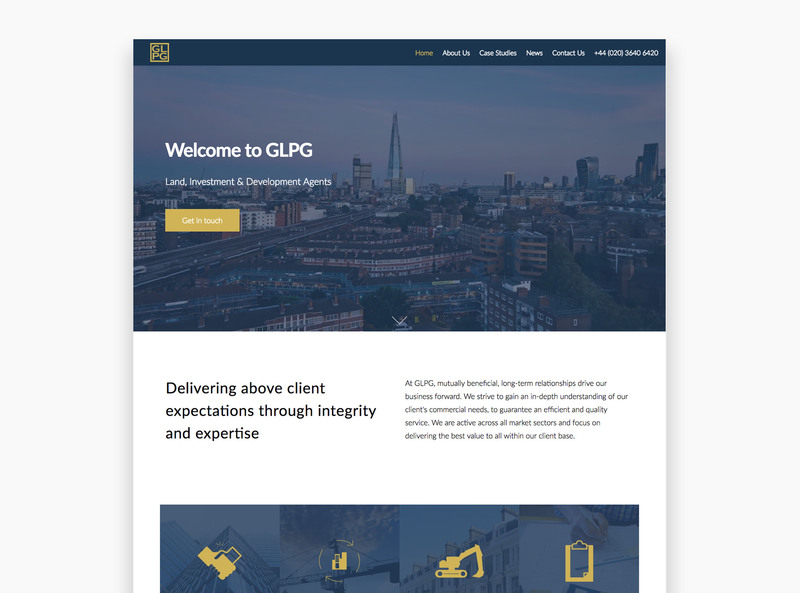 By utilising industry standard web technologies, GLPG's web presence has enabled them to reach clients on a global scale, and further enhance their portfolio. Get in touch for a free, no obligation quote. We love nothing more than a fresh creative brief. We're always looking for fresh talent to join our growing team in the heart of Soho. Head over to our careers section and tell us about yourself. © Original People. 2019, all rights reserved.